Want fuller brows and lashes? Here’s a natural, effective, and inexpensive way using Castor oil. The science: Castor oil is high in ricinoleic acid. This acid is a very effective having anti-bacterial and anti-fungal agents. Fungus or bacteria inhibit hair growth. Since the oil is also very thick, it may help to prevent hair loss simply by helping to coat the hair and protect it from falling out. Castor oil is also high in omega 9 fatty acids, which are nourishing to both the hair and the follicle, as well as the surrounding skin. 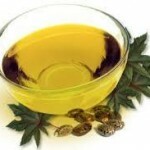 Castor oil has a unique ability to deeply penetrate so this helps it to deliver its.